Houston's controversial equal rights ordinance [known as "HERO"] failed by a wide margin Tuesday, with voters opting to repeal the law that offered broad non-discrimination protections, according to incomplete and unofficial returns. ethnicity, national origin, age, religion, disability, pregnancy and genetic information, as well as family, marital or military status. Businesses that serve the public, private employers, housing and city contracting are all subject to the law and face up to $5,000 in fines for violations. Religious institutions, however, are exempt. The ordinance was in effect for only three months between extensive legal challenges. Political scientists expected the law to drive turnout, though without complete results it's not clear to what extent that has happened. But in early voting, approximately 130,000 city voters cast ballots, more than doubling pre-election day turnout in Houston's last open-seat mayor's race six years ago. While Texas is heavily Republican, Houston is a liberal oasis. It s a solidly Democratic city led by an openly gay mayor, Annise Parker. Parker made headlines earlier this year demanding that churches which opposed HERO, produce copies of their sermons. 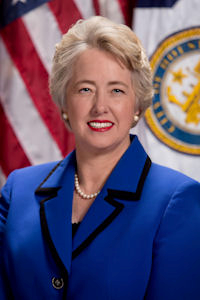 Denounced nationally for her perceived attack on local religious leaders, Mayor Parker eventually withdrew the demand. Despite Houston's heavy Democratic leanings, HERO failed by a 60-40 margin. If an expansion of civil rights fails in liberal Houston, it seems less than clear that it would prevail in conservative Indiana. But unlike Houston, the issue in Indiana will probably be decided by elected officials rather than considered directly by the voters at the polls. Ironically Republican Governor Mike Pence, the scourge of the LGBT community because of his support for the Religious Freedom Restoration Act which was perceived (wrongly) as allowing sexual orientation discrimination, might actually be that community's best hope for the expansion. Reportedly Governor Pence is eyeing a compromise on the issue, undoubtedly as a political strategy to take the issue of the plate for the election so the Governor can focus solely on economic issues But the strategy may well backfire by alienating Pence's socially conservative political base and causing many Republican legislators to face primary challenges. HERO enjoyed nearly unanimous support of the Houston big business community, yet failed big time. While the political opinions of corporate CEOs might have influence with elected officials, it does not appear that they have any influence whatsoever with voters. In fact, corporate leaders involvement in contentious social issues often backfires as voters see their efforts as extortion and bullying. The voters' contempt is understandable because at the same time the CEOs are issuing threats if certain positions aren't taken on social issues, they are demanding that taxpayers heavily subsidize their corporate expansion and relocation decisions. “The time has come for Indiana to expand protections against potential discrimination. This action will increase the state’s future business competitiveness in the recruitment, attraction and retention of talent, as well as enhance respect for all employers and employees. We encourage our state leaders to work together to take this next critical step." Of course, the Chamber is a major supporter of big business (and corporate welfare) so the announcement is not a surprise. Let's put it to a state wide vote in Indiana. Yes, it's an object lesson for other jurisdictions. Never underestimate the stupidity of the voters. If one disregards those whose only driver is imposing what's best for them on others, and then consider those whose focus is on civil rights, I believe the law would have stood. Unfortunately the people in the former group are the easiest to stampede.